A busy lifestyle doesn’t have to be an unhealthy one! Find a great restaurant in Dallas that has a variety of healthy menu options and pick up 2 or 3 meals during your visit to re-heat later! If you don’t have access to a microwave, grab some market items such as: a salad, sandwich or your favorite protein bar! Watching your wallet and your figure in 2019? Save some cash by purchasing entrees from a restaurant like salmon, grilled chicken or tofu and provide your own easy-to-make sides like fresh greens, sautéed veggies or even steamed veggies from the freezer isle at your local grocery store! Never skip breakfast – it truly is the most important meal of the day! Even a light breakfast bowl will give you a good protein boost to start the day! Eating a healthy breakfast can keep you from over-eating at lunch and give you the energy and focus you need to have a productive work-day! Find a restaurant in Dallas where you can purchase a healthy meal, quickly. Use the remainder of your lunch break to take a short walk! Not only are you burning calories but, taking some time to unwind will help you clear your mind before you conquer the rest of your day. Don’t let the 3 pm munchies ruin an entire day of healthy eating – skip the chips or chocolate bar and enjoy a healthy afternoon snack. Get moving and take the stairs to your favorite local spot that offers a quick afternoon treat like trail mix, whole fruit, a yogurt parfait or mixed nuts. We all want to eat healthy and be healthy – the ARTISAN is here to help you stay healthy. Each dish in the ARTISAN Craft Kitchen is chef-prepared and sourced locally. 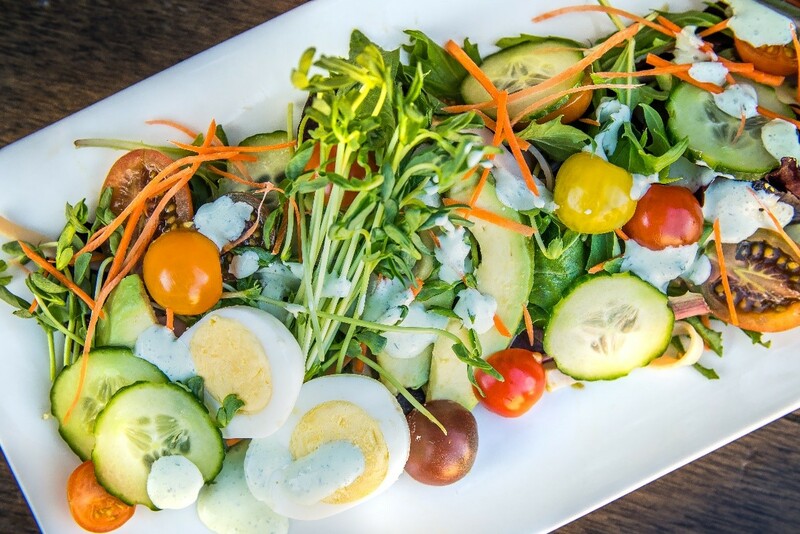 We take pride in creating farm-to-table cuisine that is fresh and wholesome. Our winter menu is full of delicious lunch and snack options to keep you on track in 2019.